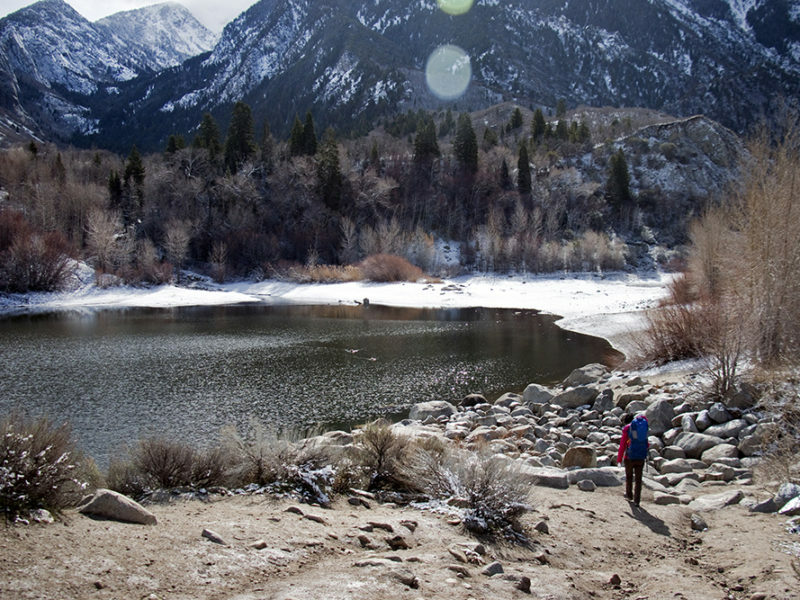 Bell Canyon Reservoir is a wonderfully scenic destination that has two different trailheads to get you there. 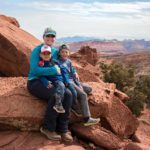 This post is for the Boulders Trailhead. It’s only half a mile from the trailhead to the reservoir, but it’s really steep and, like its name, you climb up and over some pretty big boulders. It’s a workout for your legs for sure! Because of the height of some of the steps on this trail, I don’t recommend this trail for toddlers unless they’re being worn. It’ll take you hours to get to the reservoir and there’s always a fall risk. Big kids could easily do this trail and might actually enjoy the climbing aspect of it. The parking lot is small, so get there early, especially on the weekends or holidays. There is no parking on Wasatch Blvd or on the neighboring residential streets. Thankfully, if there is no parking available, you can always consider driving to the Granite Trailhead if you’d like. Once you get to the reservoir, you can choose to explore or have a rest and a snack on one of the handful of benches in different spots. We then hike the trail that meanders around the reservoir and then stop at the big rocks at the water’s edge for a snack. The City of Sandy recently added a wooden bridge to span over the creek there. The trail includes lots of shade and another small bridge that goes over the creek that feeds the reservoir from higher in the canyon. 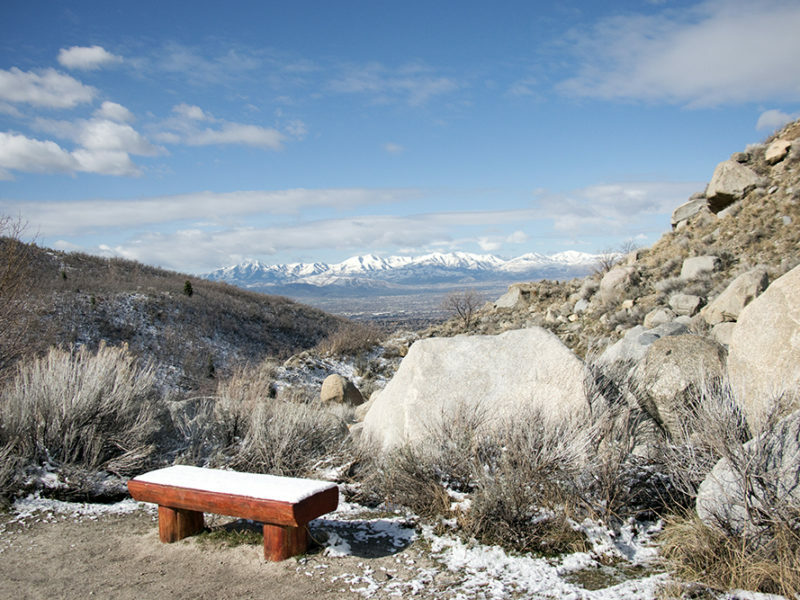 In the winter, the Boulders Trailhead is closed because it can get very icy. All of Bells Canyon is a watershed canyon, so no dogs are allowed. This trail is steep at the beginning. There are no restrooms at this trailhead. This trailhead is closed in the winter due to ice. Bells Canyon is a watershed canyon, so no swimming or wading in the reservoir or creek and no dogs. The parking lot is small. From I-15, exit 9000 S and head east. After the road does a large S-curve it turns into 9400 S. Continue heading east and then turn right onto Wasatch Blvd. After about half a mile, the trailhead will be on your left. Make a U-turn when you can to get there.